If you don't feel like reading the rest of the review, I can probably sum it up in three words: This Book Rocks. It's one that, if I had borrowed it from the library to see how I liked it, I would probably go right out and purchase as soon as it was due; I can't imagine wanting to preserve anything and not finding more or less how to do it in this volume. It's divided into fairly clear sections: a basic overview at the beginning with general info on canning, fruit spreads, and pickling. 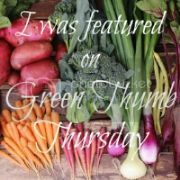 Then come the recipes: Jams and Jellies, Preserves/Conserves/Marmalades, Sweet Butters and Curds, Pickled fruits and Vegetables, Salsas/Relishes, Chutneys, and Condiments and Sauces. Finally there's a reference section with step by step home canning instructions, information about pectin, some additional recipes, and techniques and yields (stuff like how to pit a peach, what to do with the kernel, and how many make a pound). For the most part, it gives not only the how but the why of the chemistry lesson that jellies and pickles have always represented to me--the chemistry and complexity that have always intimidated me from wanting to try them. Since it's plum season around here (er...which unfortunately in Illinois means we get really good plums from California and they are cheap), and since even conventional plums grown in the States are fairly far down on the "Dirty Dozen" list (34 or so; imported ones are much higher on the list, residue-wise! ), I bought a bunch and determined to give the "Plum-Lavender Jam" on page 36 a try. I washed the plums good (with soap, baby!) to get off as much residue as I could, since the skins are where the pectin is found. Something I hadn't known before reading this book. Chemistry lesson. The details of my adventure will go on my own blog, but suffice it to say that the sample jar I made just to test it out was gone within 24 hours. We're talking spoon here, not actually spreading it on anything. I just ate it. It was amazing. I'd never made jam before--it always seemed too scary for some reason. In reality--not so hard. Messy, but not hard. And amazingly delicious. Next on my list will be the Eggplant and Tomato relish (page 172), since eggplants and tomatoes are about the only successful things in my garden right now; the Pickled Zucchini Relish (page 173) looks fun too, if I ever get any squash. There are recipes for herbal vinegars, preserved lemons, homemade ketchup, candied citrus peel--way more than I would ever have expected a book on "preserving" to have in it--I figured we were talking jams and jellies and stuff and that would be it. But there's a lot more. If I had any complaints or reservations about the book, it might be that it doesn't seem to be very "out there" about why some fruits and veggies are safe to do in a boiling water bath and why others absolutely should not--it does say that "high acid foods" are appropriate for home canning, and I have noted that every recipe suggested for the boiling water bath is very well acidified, if not by the primary fruit or vegetable then by the addition of lemon juice or vinegar--but it never actually says, "okay, look, we don't care if you'd prefer your plum jam without the extra lemon juice, if you leave that out and can it you could get botulism and die, so put the lemon juice in, okay?" at any point in the book. (Unless I missed it.) Which for me and lackadaisical-recipe-followers like myself might be an important addition. And I can only trust that the authors of the book did their pH homework in creating the recipes--which do look quite sensible to my inexperienced eye, based on what I've heard elsewhere about which fruits and veggies are acidic enough to be safe to can. (As usual, the disclaimer: I'm just reviewing the book, I don't know enough about safe canning procedures to be someone who's advice you should take about anything, so if you ever should follow any advice I give and get sick or have some bad result, please don't blame me. Do your own homework.) In any case, I will drop a note back to the woman who sent me the book and ask the question about the acid level of the recipes and how they were developed; I will update this post when I hear back from her. I also sort of wish it had some concrete temperatures for jelling points and such--for example, if I know that jam's "jell point" is 218 degrees, that's the kind of info I like to have. The "wrinkle test" is helpful, of course (that's where you put a glob on a chilled plate and refrigerate it for a few minutes, and if it wrinkles when you poke it, it's ready), but from what I've read in other places, the few minutes between the globbing and the wrinkling could be enough for the jam to turn into candy and go too far. 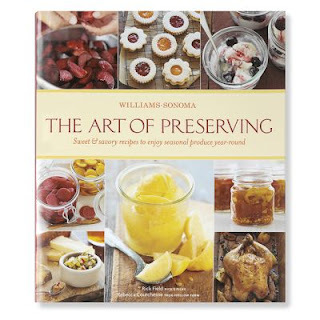 But these are just little quibbles--it's a very solid book, with plenty of really good info for the novice canner. I'm not a big recipe-follower. For me cookbooks are often an exercise in getting ideas and deciding how to sort of piece together different possibilities that look nice. But this one I can see myself using as a reference for years. Anyone have any other fabulous references you use for home canning, pickles, jams/jellies, etc? The pickyourown.org website is a great basic site with lots of basic info, and that's what I've used in the past. Any other sites or particular books that are your go-to ones for preserving? I love the Joy of Canning and Preserving book. Great photos and step-by-step introductions for new canners. Would this be a good book for a beginner? I'm interested in canning but haven't done it. In fact, today was the first day I made refrigerator pickles. This sounds like a great book for a beginner, but is it overkill for someone who has been canning for years? My favorite canning/preserving book is "Homemade Living: Canning & Preserving with Ashley English: All You Need to Know to Make Jams, Jellies, Pickles, Chutneys & More." It has a lot of great basic information for the beginner, awesome recipes for old timers. I'd probably classify it more as a beginner's book, honestly--there are some really nice recipes in it, though, that I'm not sure every book would have...I mean, it's Williams Sonoma, so it has that kind of Patina of Classiness thing going; I'm more of a "applesauce and stewed tomatoes" kind of girl myself. But the plum and lavender together was lovely. Condo, when I started doing stuff like this I started with refrigerator jams and stuff that didn't need to actually be preserved, and just moved to applesauce last summer. This will be my first tomatoes year...fridge pickles sounds like a great starting point. Let's face it, nowadays there's not much ANY of us needs to know that we can't find on the internet somewhere--that pickyourown.org site is really good. But this book has some really cool recipes I wouldn't have made up on my own. This does look good! I just started making jam this year. I've been told that jam is the gateway drug to more serious canning. That may be true; now I'm thinking about salsa! I use the old standard: "Putting Food By", by Janet Greene, Ruth Hertzberg, and Beatrice Vaughan. And if that doesn't float my boat, I go straight to the Ball Blue Book, which in my opinion is the canner's bible. Daisy--I hear ya on the "drug" thing--I've now got nectarines macerating in sugar to make preserves tomorrow. Or tonight. Whatever. I've done lots of Google searches that direct me to the PickYourOwn website in the last couple of weeks. We canned diced tomatoes, froze tomatoes and summer squash, and made "sun-dried" tomatoes in the dehydrator. Did you ever head back from the editors?? Have you tried any of the tomato recipes? If so, how are they after they have been canned? I was interested in the chipotle ketchup and the toasted tomato garlic salsa!